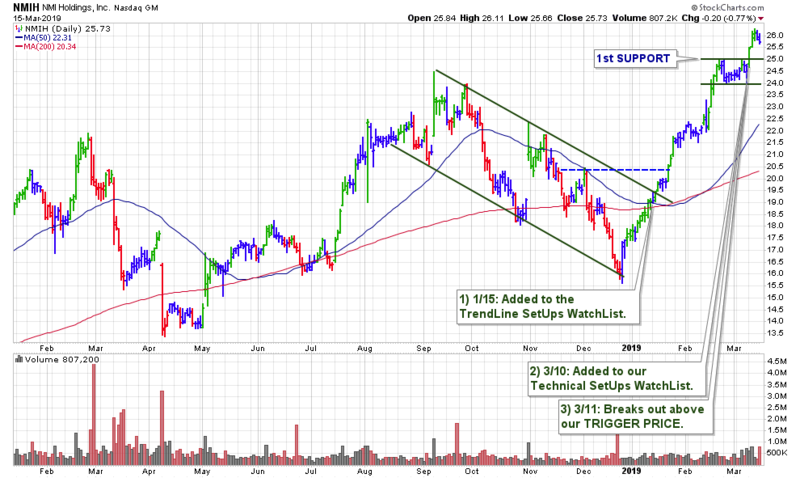 This past week we had 2 breakouts from our weekly watch list of 5 stocks. 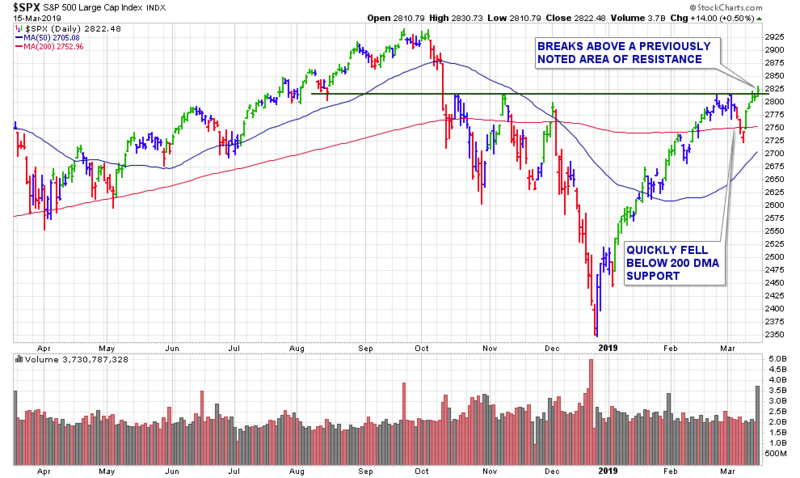 After first breaking out from our TrendLine SetUps in January, this stock made a considerable run to new all-time highs where it has recently consolidated a bit and built a new base. 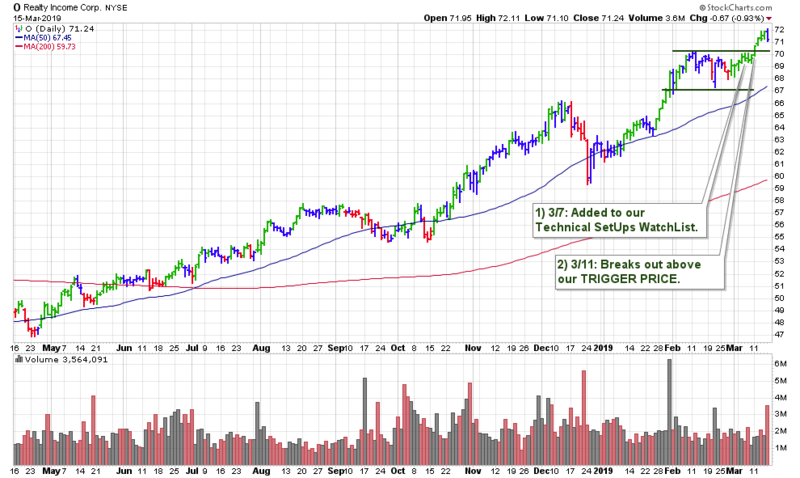 I then added it to the Technical SetUps WatchList on 3/10 in last Sunday’s report. This stock broke out for us on Monday, although with a lack of conviction as volume was off by -17% that day. There was some continued follow-through in price on Tuesday, yet again the turnover remained below average. 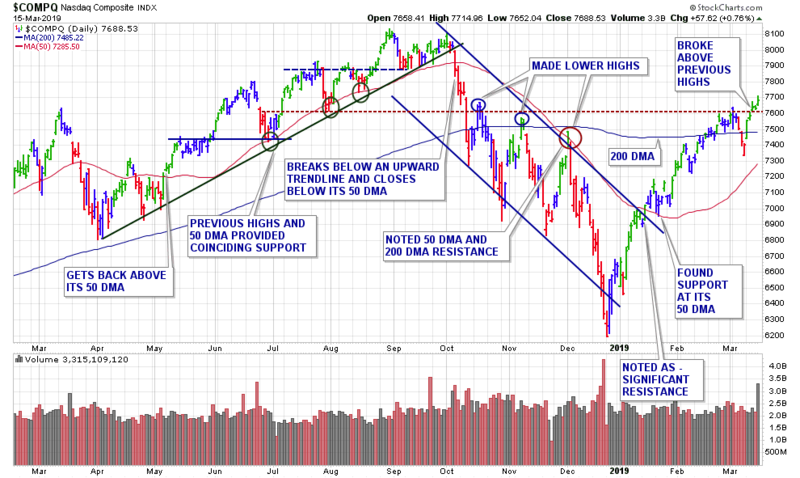 On Wednesday, there were additional gains at the open, yet those did not hold and be the end of the session shares closed with s slight loss, actually making a negative reversal. 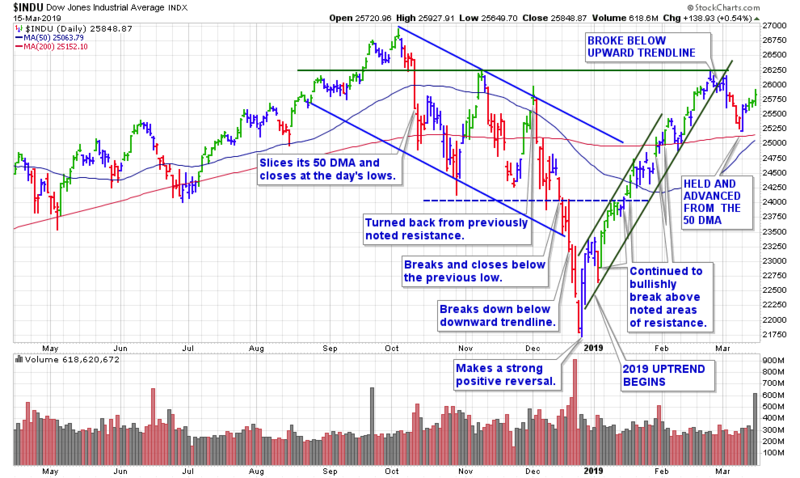 Thursday’s gains did little to negate that bearish action as volume continued to lack buy side conviction. Add to that, Friday’s above average volume declines which certainly increased our concerns. This stock should be watched closely Monday morning for any continued deterioration.